Republican presidential candidate Donald Trump continues to wallow in political missteps and bizarre comments. His speech Tuesday outlined Hillary Clinton’s Second Amendment views that have been revealed by a third party. 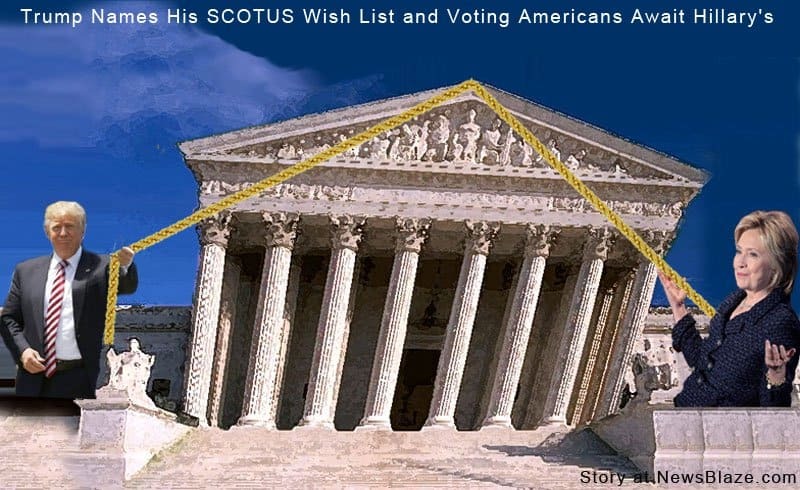 He already released his SCOTUS wish list. The pro and cons of the issue may come down to Clinton’s personal/likely selections to the Supreme Court. Hillary has remained silent as to specific names on her short list, but suffice to say only that Congress should and will confirm President Obama’s nominee, Merrick Garland if she wins. The Republican Senate majority has made it clear months ago; there will be no confirmation hearings until after the election. Meanwhile, her general election opponent has taken a different tack, releasing a list of 11 possible nominees. He announced his probable selection list in May. It included several judges often found on conservative wish lists, reassuring groups on the right. Should Hillary Clinton win the presidency, the Court will definitely take on a liberal-minded majority. Presently the Court is evenly divided since conservative Justice Antonin Scalia passed away several months ago. Trump names SCOTUS picks – will Hillary’s picks pull the court to the left?. Although Hillary remains tight-lipped about her probable selections, advocates say her most likely choices for a high court appointment are already apparent. The political website, The Hill, has contacted three well-connected groups in Washington specifically to question Clinton’s Supreme Court options. The “contacts” had similar opinions. Clinton would nominate the Supreme Court Justice to replace Scalia as well as the ones that could open up over the next four years if liberal Justice Ruth Bader Ginsburg and moderate Justice Anthony Kennedy were to retire. Probable nominees include Garland. He waits patiently for the general election to provide the winner. The background checks from the FBI and the American Bar Association to be a Supreme Court nominee will be a process that can take up to four months. Garland is presently on the powerful D.C. appeals court and is socially familiar with some of the other members of the Supreme Court, including Chief Justice John Roberts. 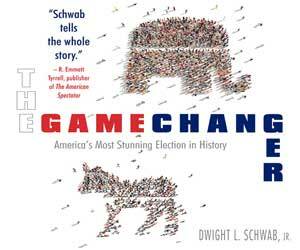 Other front-runners include Sri Srinivasan, a judge on the D.C. Circuit Court of Appeals and Jane Kelly, a judge on the Eighth Circuit Court of Appeals. Srinivasan would be the first Indian-American and Hindu to serve on the court. He will not be a shoo-in due to strong resistance from the left concerning his past work representing corporate clients. He was the attorney at O’Melveny & Myers who defended ExxonMobil and mining giant Rio Tinto against allegations of human rights abuses in Indonesia and Papua New Guinea. Others include Paul Watford, an African American judge on the 9th Circuit Court of Appeals, Jacqueline Nguyen, a Vietnamese-American judge on the same court, Goodwin Liu, an Asian-American judge on the California Supreme Court, Patricia Ann Millet is another D.C. Circuit court judge, Sens. Amy Klobuchar (D-Minn.) and Corey Booker (D-N.J.). Now there’s the question both parties are pondering; just how many Americans are going to the polls with that issue in mind? Better yet, how many millions will make that their only reason to vote?